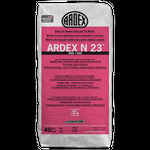 Ardex Edge Insulation Strip 65.5 Lin.Ft. 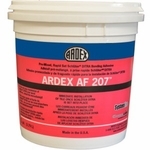 Ardex Movement Tape 164 Lin.Ft. 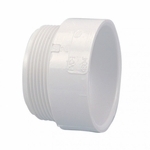 Ardex Seam Reinforcement Tape 32.5 Lin.Ft. 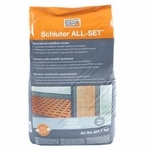 Schluter Systems Kerdi Mixing Valve 4 1/2"
Schluter Kerdi Board 1/2" x 48" x 32"
Schluter Kerdi Board 1/2" x 48" x 64"
Schluter Kerdi Board 1/2" x 48" x 96"
Schluter Kerdi Board 1 1/2" x 24 1/2" x 96"
Schluter Ramp for Shower System 15 13/16" x 48"
Schluter Kerdi Curb Shower System 48" x 4 1/2" x 6"
Schluter Systems Kerdi Board Curb 38"
Schluter Systems Kerdi Board Curb 48"
Noble Pro-Slope 60" x 60"
Noble Pro-Slope 40" x 40"
Noble NobleFlex Drain Flashing 3/4"
NobleFlex Drain Flashing Tool 3/4"
Noble NobleFlex Drain Flashing 1 1/2"
NobleFlex Drain Flashing Tool 1 1/2"
Miracle Sealants Water Ring & Etch Remover - 4 oz. Pearl Abrasive Blue Tuscan Seam Clip - 150 pcs - 1/32"
Pearl Abrasive Red Tuscan Seam Clip - 150 pcs - 1/32"